Sporting fun in your Allgäu summer vacation - A whole mountain full of adventure! Now it's getting sporty! Our outdoor highlights at the Allgäuer Berghof for an exciting Allgäu summer holiday range from adventurous rafting on the Iller to a sweepingly 18-hole golf course in Ofterschwang. Even the smallest ones can be taken on a hike on many routes with the Berghof strollers. The Ofterschwanger Horn and the Gunzesrieder Valley are also a real paradise for mountain bikers. Or have you always been curious about diving? During the school holidays, we organize diving trial courses in the Berghof pool under the professional guidance of our cool guides. In the Allgäu, there are loads of fun and many summer sports opportunities for the whole family on your summer vacation. And in addition to hiking, biking and other outdoor highlights in nature, our petting zoo, the pony stable and many great playgrounds at the Berghof invite you to an action-packed Allgäu summer holiday. With this abundance of possibilities, there is a lot to experience especially for teens - boredom has no chance here, whether indoors or outdoors! So your Allgäu summer vacation is guaranteed to be an adventure. With us it's really sporty in the summer. At the mountain station World Cup Express, the whole family can borrow downhill scooters and whiz back into the valley. 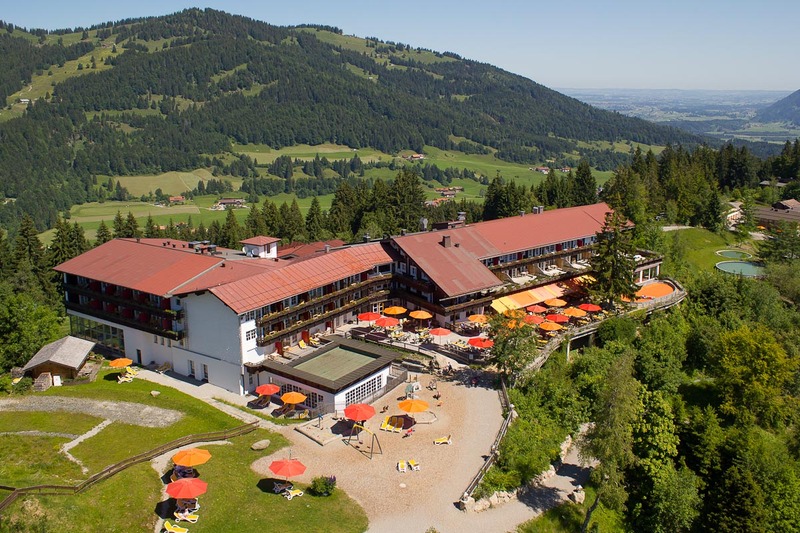 A special highlight: on our hotel complex is the first disc golf course in the Allgäu. Here you show your target safety with the Frisbee disk on a guided tour through the surrounding forests. If this is not enough yet of sporting activities in the Allgäu during your summer vacation, you can experience all kinds of excitement and thrills at the Allgäuer Berghof during archery or a canyoning adventure.